While I was struggling to discern God’s will, an unexpected opportunity arose: I was invited to study for the priesthood with former Archbishop Curley classmates at St. Joseph Cupertino Conventual Franciscan novitiate (a monastery for the spiritual formation of friars). I had learned at Curley that God had enabled Joseph of Cupertino to become a priest despite academic difficulties. Joseph became so holy as a priest, it was said, that he would levitate in ecstasy during prayer.14 It seemed that God was making a final offer to help me to, so to speak, redeem myself — that he was directing me once again to the life he wanted for me. The Conventual vocation director assured me that further misadventures in calculus would not be required. Feeling much less academic stress, wearing the Franciscan habit, and preparing to make vows at the end of the novitiate year, I thought, I should attain chastity and fulfill God’s will at last. I agreed to an entry date in mid-August. I soon saw that the deeper reasons for my previous withdrawals from seminary could no longer be denied: I had to admit that I was not cut out for celibacy, isolation, servitude, and intellectual constriction. I must have been misreading God’s will: my real problem had not been finding the right religious institute but accepting that I could not live in any. With that admission, the way forward was clear. I would not go to St. Joseph; I would commit myself to living in and of the world. My “instability” was ended, but at the cost of my life’s longtime direction. I knew that he was right. But it was much too late to apply to a traditional school. Further, I didn’t see how I could afford college. I had almost no money of my own. I had received only “honor” from the National Merit Scholarship Program because, planning to be in seminary through my college years, I had declined any financial award. Nor could I hope for assistance from my father: he believed that “if you want something, you work for it.” (Later, he would refuse my request that he provide income information for a scholarship application.) 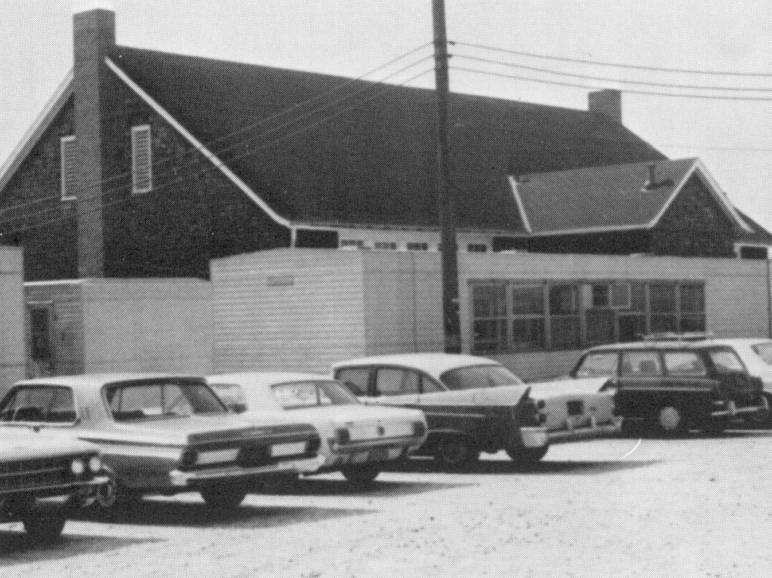 Not long after my meeting with the vocation director, however, a friend advised me that a nearby school, the relatively new Essex Community College, was both affordable and still accepting new students. I enrolled there immediately. Knowing that I’d need to continue working, and not knowing what secular career to prepare for, I registered for the minimum full-time load of 12 credits. Soon after starting at the community college, I registered for the draft. As a full-time student, I would receive a deferment (category 2-S), but I knew that I could be ordered into the military after graduation: anyone who had been deferred would remain subject to the Selective Service System until age 35. Having heard that enlistees served shorter terms and might have more choice of job assignment, and thinking it prudent to join a group that might not be sent to Vietnam, I submitted my name for the waiting lists of both the Army and Navy Reserve Corps. When one of them accepted me, I thought, I would leave college, complete my military service, and then return to school. I did all of that without moral struggle, accepting it as normal and necessary. As time passed, however, and I became increasingly aware of the horrific realities of war and of the inconsistency of the Catholic stance toward it, I found myself uncertain as to whether I could participate in military service of any kind. When the reserve forces called me, I politely declined: the question of conscience having arisen, I couldn’t act until it had been resolved. The pacifist sees love as the supreme command of Christ, a command that cannot be qualified by circumstances and that must be obeyed “no matter what happens” [the phrase was from a previously quoted passage in Tolstoy’s My Religion]. The words of Christ are simple and clear: do not resist evil men; always return good for evil; love your enemies. The disinterested, universalized love that Jesus had lived and preached had been relegated by the Church to the status of wishful thinking: it would be a reality in the next world, and it may be foretasted now within a monastery, but it was not possible in the world in which most of us live. In the “real” world, that kind of loving could get you killed. Well, yes, I thought, it got Jesus killed. But serving as a soldier, which could require you to kill others, could get you killed, too. And of course we all die sooner or later. The urgent question was not of death but of life: how does a human being best live whatever time he or she may have? Jesus called us to a life motivated by love. If such living is possible — and, looking at people like him, we know that it is — then it should be embraced by those who recognize its beauty and power. 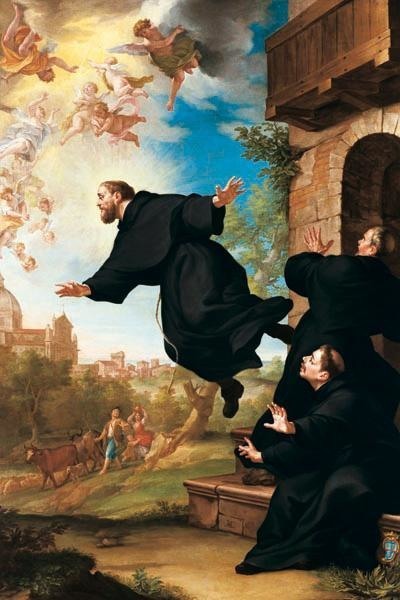 Neither church nor state, I determined, could legitimately forbid that.
. St. Joseph of Cupertino (d. 1663), who was said to have been seen levitating more than 70 times, is known as “the flying friar” and is the patron saint of aviators and students. A 1962 film about his life, The Reluctant Saint (starring Maximilian Schell and Ricardo Montalban), was shown to us during a vocation retreat while I was a student at Archbishop Curley High School. Watching it again many years later, I would find the story delightfully crazy — particularly the brief closing scene (starting at 1:42:42 in the linked video).